Bulmak 2016 D.O.O.E.L, Probištip, is the concession holder of ‘Zletovo’ and ‘Toranica’ ore deposits. After their acquisition the rail tracks and the main manufacturing equipment were repaired and rehabilitated. Modern roadheading equipment and equipment for the flotation works was delivered by leading companies:Atlas Copco, Sandvik,Aramine, Paus and Metso. 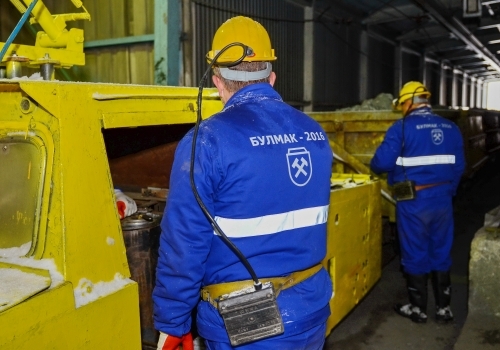 As a result of the investments made, the modernization of the mines and the flotation works, an annual production of lead and zinc concentrates was archived in the amount of 30 000 tons. ‘Toranica’ mine is situated in the north-eastern part of the Republic of Macedonia, 120 km away from the city of Skopje and 24 km away from the town of Kriva Palanka, directly on the Bulgarian-Macedonian border. ‘Toranica’ mine is located in the Osogovo Mountain Massif and is a continuation of ‘Sasa’ ore deposit - Macedonian Kamenitsa. The annual productivity is 320 000 tons of ore. The mine is equipped with modern mining equipment, manufactured by leading European companies such as Atlas Copco, Sandvik, Paus and Aramine, mainly delivered in 2016-2018.